Since 1997, JobStreet.com has grown to become one of the leading internet recruitment websites in the Asia Pacific, revolutionising the way recruitment is done today. On JobStreet.com Job seekers can have their own page with all their information. JobStreet Singapore is the region’s most credible and sought-after recruitment website with the proven ability to match talents to job positions in the quickest, most effective way possible. In Singapore, JobStreet.com has been recognised by Hitwise as a No. 1 visited website award winner for the past 6 years. Summary: In 1997, Jobstreet was created by Malaysian businessman, Mark Chang Mun Kee, who also created the e-payment enabler website, MOL.com. In 2014, SEEK bought the aggregator to extend their Asian reach (they already owned 60% of JobsDB and 78.2% of Zhaopin). 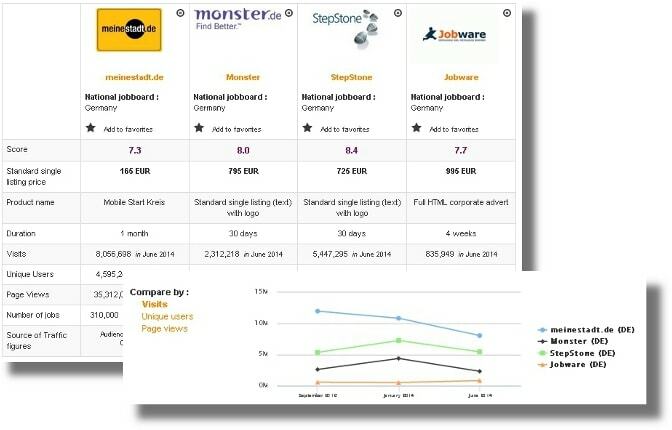 Jobstreet was definitely a smart move because it is one of the leading job boards in Singapore (38th most active website, with 4.15 million visits per month). Unfortunately, their Twitter page has been abandoned since 2016, but they continue to post on Facebook for their 165 484 followers. 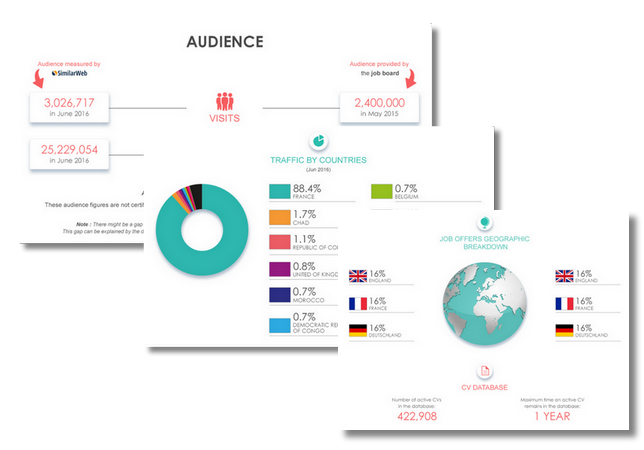 Jobstreet is present in Malaysia, Philippines, Singapore, Indonesia and Vietnam and has an extensive list of partners. Design: Large images of happy people at the office or using their phone are featured on the homepage. To access the job offers, you can click on “search jobs” which leads to a listing with filters on the left-hand side (keyword, location, specialization, salary) along with some top employers and recruiters. You can display all the jobs, those handled directly by the employer or ones handled by recruitment firms. Each job offer indicates the job title, the company name and logo, a description, the salary (optional), the location and the publication date. If you click on “specialization”, you can access the number of jobs per category. To view the offers, you can sort them by date, job title, company, location or salary. The job adverts themselves are very long, they can include a description of the company, the company snapshot (information about the company), company overview, “why join us” and the location. As for the company pages, they have ratings from employees, the overview and other particularities (benefits, dress code, etc.). Submitting an application is very easy, but the “Training” section is empty. The job board objective: Jobstreet offers all kinds of feedback for recruiters and jobseekers to make the recruitment process easier. Recruiter observations: Creating an account is easy and they use the SiVA recruitment center for your dashboard (with a focus on the calendar). You can access the CV database for free but company verification is required before you can retrieve any resumes (which means you need to send your registration number). Names and photos are hidden but many filters are available to look through candidates (education, languages, work experience, last active, etc.) and the job board can even recommend CVs. You need to call them for the cost of packages, but other prices can be found on the website (including the cost of a classifieds advert). In your advert, you need to include the salary (Jobstreet gives you the average salary for similar positions in case you are not sure of what the salary should be). They also create the advert for you with the basic information you included. You need a company registration number. Jobseeker observations: Creating an account appears to be easier than it actually is because you need to fill out sections after validating your e-mail address (or Facebook), but they do not check the consistency of your information. An account on one Jobstreet works for all of them though. The dashboard is very straightforward. Companies have ratings, which you can then dub “helpful” in order to make it easier to sort them (recent or most helpful). When applying to a job offer, you can see who else applied (including information about their background) and how long it usually takes the company to process candidates. The job offers: There are 63 233 job offers, with sales (13 093) and services (10 689) ahead of the rest. There are also over 5 000 jobs in manufacturing, almost 8 000 in computing, 8 000 in engineering and 8 780 in accounting. Special features: job alerts; feedback request; advert writing tools and aid; similar companies; the blog (Career Resources and In the News); company reviews; information about who else applied; the CV-database; the “helpful” review button; the safe job search guide. Verdict: Jobstreet is a great website for recruiting in Singapore. The CV database alone is worth checking out for recruiters, and jobseekers will appreciate the information concerning the different companies and the blog.